Established in 1989, National Infertility Awareness Week is an opportunity for physicians, along with couples, to bring awareness to the public health issue of infertility. This year's theme is #InfertilityUncovered. Today many couples still lack access to options for building their family, or they aren't aware of the potential underlying causes of their infertility. 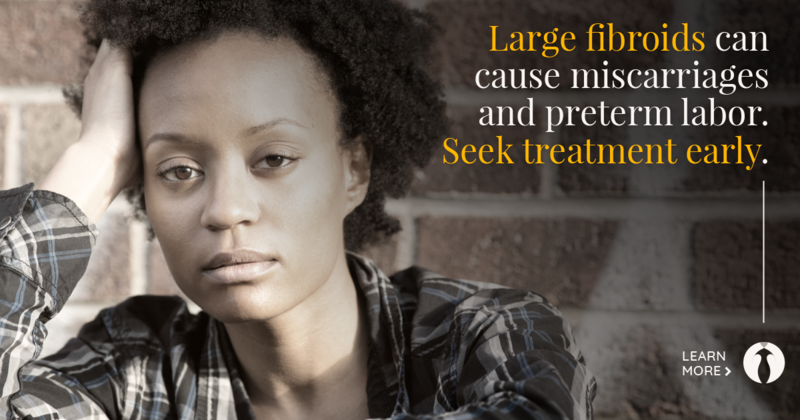 For example, fibroids that are left untreated can grow within the uterus, leaving little room for a fetus to grow. Similarly, scarring from advanced endometriosis can make it difficult for an embryo to implant. Many couples embark on expensive IVF treatments--in some cases multiple rounds--without treating these underlying conditions, and they can't figure out why the treatments aren't working. 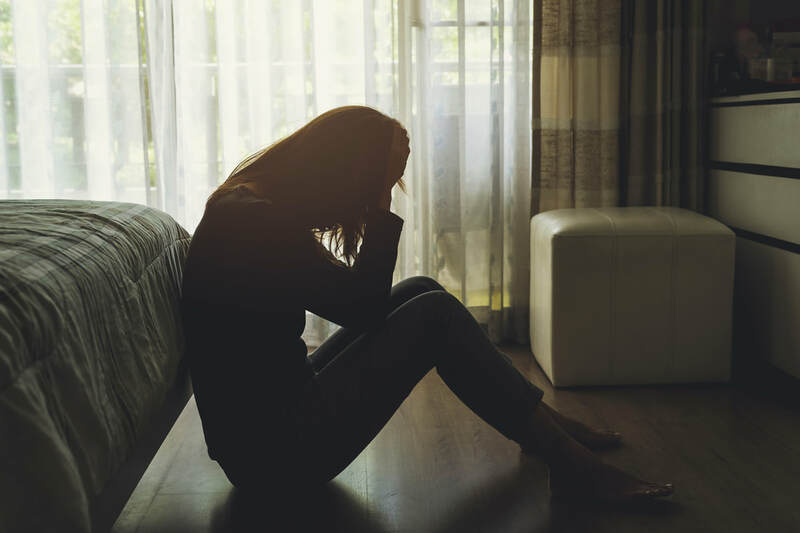 Adenomyosis is often referred to as the "evil twin" or "cousin" of endometriosis--see this article in Women's Health Magazine--and it is just as misunderstood and difficult to diagnose. 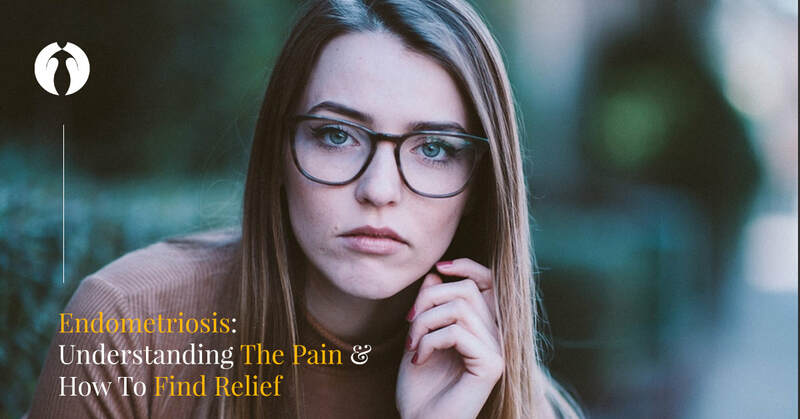 During Adenomyosis Awareness Month, it's important to continue spreading awareness of this painful disease, so more women can get diagnosed sooner and seek relief from their symptoms. What is adenomyosis? It's a condition in which the endometrial cells, which usually line the uterus, begin to grow within the uterine muscle wall itself, causing painful inflammation with each monthly cycle. The only known cure is hysterectomy. But for women wishing to preserve fertility, other options such as medical management of pain should be discussed with their provider. Read more about adenomyosis and treatment options in this WTOP article. ​The Center for Innovative GYN Care, with offices in the Washington DC area, provides advanced surgical treatment for complex GYN conditions. 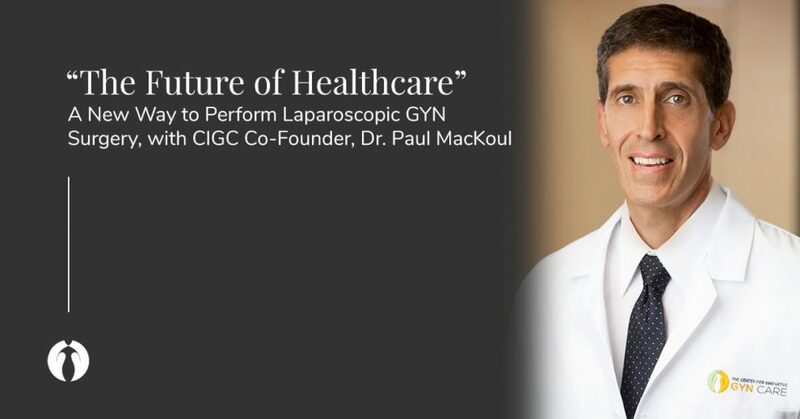 CIGC specialists Dr. Natalya Danilyants and Dr. Paul MacKoul have innovated highly advanced techniques such as DualPortGYN and LAAM, to treat fibroids and endometriosis using only two small incisions. Women recover faster, with less pain. To schedule an evaluation, call 888-SURGERY or reach out online. 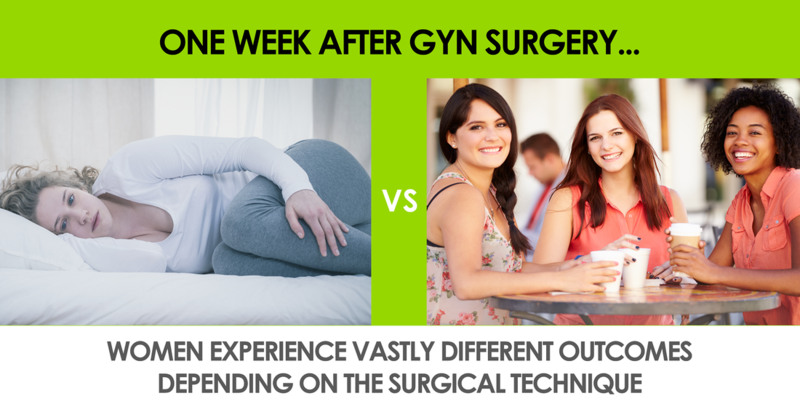 Women Want the Best in Expert GYN Care And Will Travel for It! ​Women around the globe suffer from complex GYN conditions, but may not be able to get the expert care they need close to home. Access to this kind of care through the CIGC travel program can provide a solution for women who need advanced surgical specialists but don’t have any in their area. 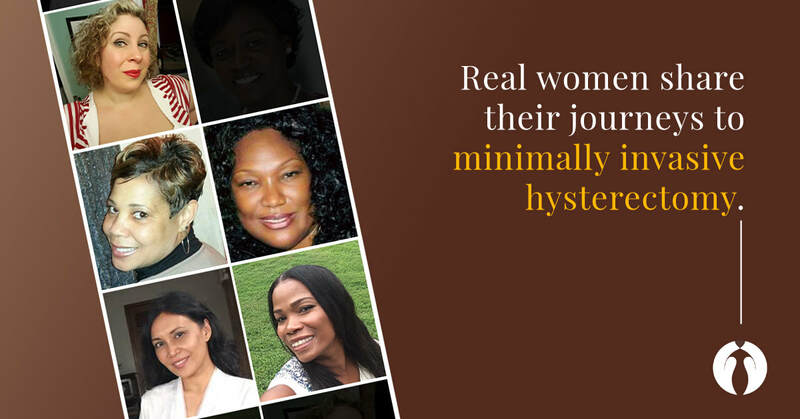 For the women below, choosing CIGC for GYN surgery changed their lives forever. Tony and her sister both suffered from heavy bleeding and were told they needed hysterectomies. Tony flew to CIGC from Texas for a laparoscopic procedure, while her sister decided to go with an open procedure close to home. Their post-operative results were almost night and day: Tony had barely-visible scars and recovered in less than a week; her sister has a large scar along the bikini line and had a much longer recovery time. The Center for Innovative GYN Care, with offices in the Washington DC area, provides advanced surgical treatment for complex GYN conditions. CIGC specialists Natalya Danilyants, MD and Paul MacKoul, MD have innovated highly advanced techniques such as DualPortGYN to treat fibroids and heavy bleeding using only two small incisions. Women recover faster, with less pain. To schedule an evaluation, call 888-SURGERY or reach out online. When Is Heavy Monthly Bleeding Too Much? 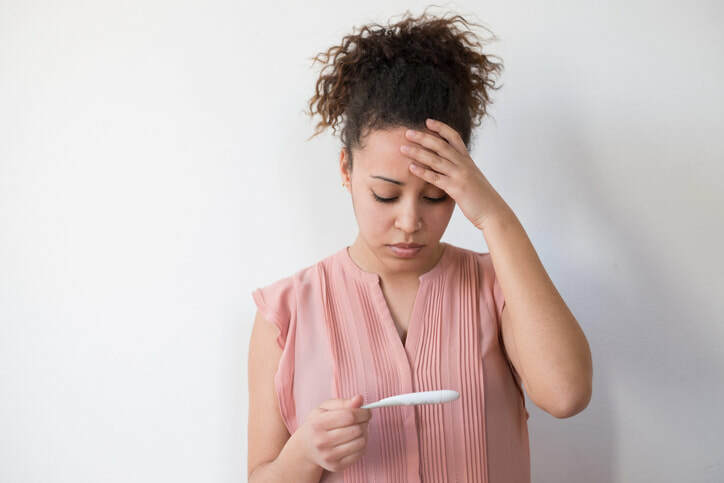 Sometimes a heavy period is just that, but it could also be an indication of an underlying GYN condition—and if left untreated, could lead to anemia. 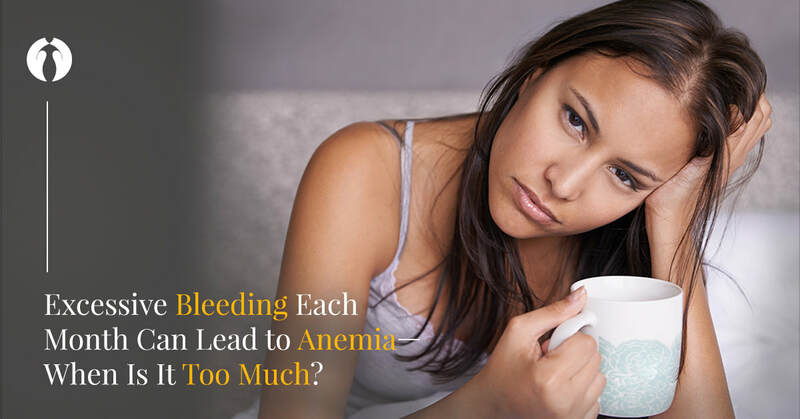 Anemia can cause fatigue, dizziness, irregular heart rhythms, and cognitive problems. Moreover, anemia must be managed using iron supplements or infusions, or even blood transfusions. How can you tell when monthly period flow is too heavy? A blood test can reveal if you are anemic, but there are other indicators that can help you decide if you need to see a specialist. The average time interval between the onset of menstrual periods is 21-35 days. Most menstrual periods last no more than seven days, and most women lose no more than 80 cc (or 2.8 ounces) of blood with each cycle. 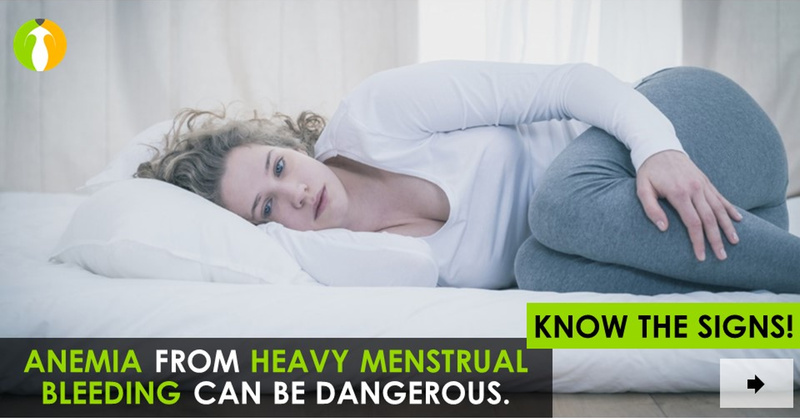 Abnormal bleeding essentially consists of bleeding that occurs outside of these averages: women with an interval less than 21 days or greater than 35 days, with menstrual flows greater than seven days’ duration, or with more than 80 cc of blood loss have abnormal bleeding. Read more about the underlying GYN conditions that can cause abnormal bleeding on WTOP: Heavy monthly bleeding: When is it too much? 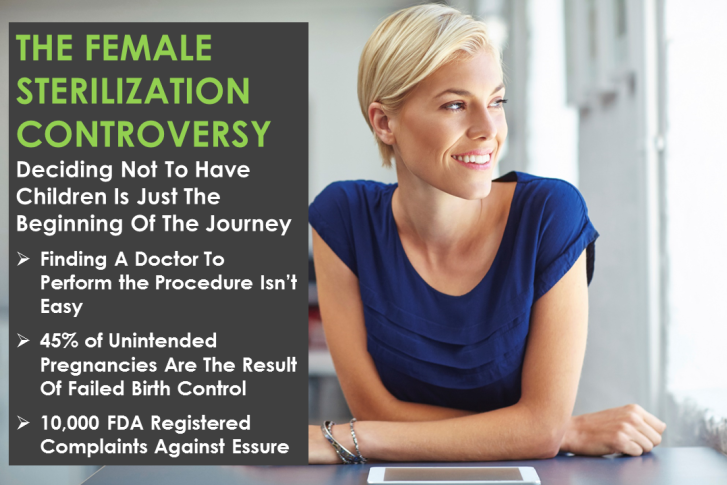 In a recent interview with Thrive Global and Authority Magazine writer Christine D. Warner, circumstances surrounding the lack of expertise when it comes to minimally invasive GYN surgery, which in many cases leads to sub-par outcomes for women being treated for complex GYN conditions, were explored. During my residency training, it became clear that a change was necessary in the way patients underwent GYN surgery, and that change would require new techniques and procedures to allow for better outcomes, lower complications, and decreased cost. Laparoscopy, or minimally invasive GYN surgery, was the future, but there were definite problems with the way laparoscopy was being performed by the OBGYN. There appeared to be very few advances in the way the surgery was performed. In other words, the techniques and procedures were not changing as they were in other surgical specialties. There was a lack of “innovation” and application of any new techniques and procedures, but more an adoption of expensive “tools” to get the surgery done. The tools being used, such as robotics, would never allow for better surgical techniques, but would allow possibly more surgery to be performed at the expense of possibly higher complications and cost.